If you have ever experienced clove essential oil, you probably remember it. The smell of clove is unique, pungent, and spicy. Basically, when it comes to aromas, you either love clove or can’t stand it. Either way, you can’t deny the vast healing power of this most pungent spice that has been used within Chinese medicine and in other parts of the world for over 2,000 years − particularly when it comes to tooth and mouth health. According to “The History of Dentistry” by Walter Hoffmann-axthelm, the Emperor of China was said to have used clove as a “mouth perfume” as far back as 200 AD, and the first medicinal reference to cloves was by 10th century Arabian dentist al-Gazzar, when cloves were used to control mouth odors and pain. Even today the most common association people make with clove essential oil is to oral health. Isn’t it incredible that despite all our medical and dental advances that centuries later clove is still a go-to substance for pain relief for toothaches and achy gums? It’s also been a long-standing favorite of parents with teething babies. With this method a tiny amount of clove oil, heavily diluted with a light carrier oil to avoid irritation (i.e. coconut or olive oil), is applied to the gums to soothe the pain. What makes clove so effective as a tooth and gum reliever? Studies have confirmed that clove contains benzocaine, the same basic stuff traditional doctors and dentists usually use to numb a local area before inserting a needle. If you’ve ever gotten clove oil on your tongue you’ll recognize that numbing (“my tongue is frozen”) effect! Can Clove Oil Help Protect Tooth Enamel? Drinking lemon water first thing in the morning is a GREAT thing to do for your overall health, but it might not be the best thing for your teeth. (As a side note, a drop of lemon essential oil in your water is a good alternative to lemon juice in water. Drinking lemon water with a straw can also help to protect your teeth). All that acidic liquid from fresh lemon juice can do a number on your tooth enamel over time. Clove oil, however, has been found to support tooth health by helping to slow dental erosion caused by acidic foods and drink. In fact, in some studies, such as a 2012 investigation conducted by the Indian government, clove oil was found to actually help with teeth re-mineralization. Knowing what clove oil can do for your teeth, gums and tooth enamel, why would you want to use fluoride for so-called tooth health and risk all the nasty, proven side effects − including sterility and lower cognitive ability − that potentially comes along with it? Do yourself a favor and ditch the fluoride toothpaste (and the tap water that may contain fluoride as well) and go for side effect-free clove oil. It’s natural, free of toxins (if from a quality brand), and has been demonstrated effective over thousands of years for your mouth health. You can find a healthy DIY toothpaste recipe here and a mouthwash recipe down below. Did you know that inside your mouth there are over 700 different kinds of bacterial species? It’s safe to say that not all of them are the “friendly” kind. And this is precisely where clove’s unique anti-bacterial properties come in handy. Clove can provide a level of protection against bad bacteria which in turn helps to prevent gum disease. Microorganisms in the mouth that can lead to gum disease and tooth decay are resilient. They have their own “will to survive” that often make them hardy and difficult to control. Many strains of harmful bacteria that lodge themselves in the mouth — and in the body — develop resistance to traditional avenues of controlling them, such as antibiotics. According to a report published in the journal Compendium, many bad bacteria can’t develop a tolerance nor resistance to clove oil (thyme oil as well). This fact makes these two essential oils very effective anti-bacterial agents for the mouth and gums. A side note about clove’s anti-bacterial properties: some experts say that clove oil can even help with candida overgrowth when taken internally. Be sure to work with a naturopathic health professional to determine how best to proceed if addressing this condition. When it comes to clove oil, more is not necessarily better. Clove essential oil is considered a “hot” oil that can be harsh on the stomach lining if used internally too much. It can also be irritating to the skin, so always make sure that you use a quality organic carrier oil when you apply it to the skin. This goes for the skin in your mouth (i.e. your gums) as well. Be especially careful to keep clove oil away from your eyes and other sensitive membranes as it will sting. If you do accidentally apply it in the wrong spot, don’t flush with water which will only spread it around − dilute with a carrier oil. And of course, make sure that your clove oil has “supplement facts” on the label. Remember that if your essential oil label does not have this wording or information then it should not be used orally. In fact, because the skin is a great absorber (we literally “drink in” all the creams, lotions and oils we slather on it), it is best to always use quality essential oils no matter what the capacity you are using them in. That just makes good, safe sense! Add all ingredients to a glass bottle or jar. Shake well and re-shake before using. Essential oils (including clove oil) available from Organixx are among the highest quality essential oils available to consumers. They are made with indigenously sourced plants retrieved from the world’s best sources. The most common association people make with clove essential oil is to oral health. Studies have confirmed that clove contains benzocaine, the same basic stuff traditional doctors and dentists usually use to numb a local area before inserting a needle. Clove oil has been found to support tooth health by helping to slow dental erosion caused by acidic foods and drink. According to a report published in the journal Compendium, many bad bacteria can’t develop a tolerance nor resistance to clove oil. 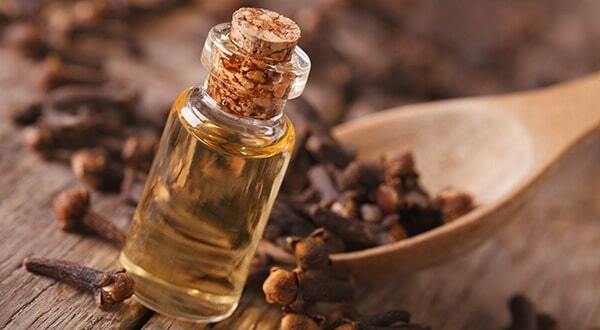 Some experts say that clove oil can even help with candida overgrowth when taken internally. Be sure to work with a naturopathic health professional to determine how best to proceed if addressing this condition. I am baffled by your suggestion to add lemon essential oil to water! This is a huge concern to me as I have been taught by a neuro-scientist and chemist and know what that can do to your esophagus and organs. Water and oil do not mix so you are getting that very concentrated oil coming in contact with your tissue and organs. Even 1 drop can do damage! one drop of lemon oil is equal to 1 POUND of lemons. Please stop suggesting people ingest this!! Unlike the majority of essential oils on the market, this is 100% USDA Certified Organic and completely safe for consumption. Any oil in the Organixx (previously known as Epigenetic Labs) Essential Oils line made from a plant that’s safe to consume in its raw form is, in turn, also safe for internal use. * That said, we highly recommend anyone interested in pursuing internal essential oil use to do so through a qualified physician, including if you are taking any form of medication. I’ve just returned from the dentist, what timing, with an infected root canal and a box of antibiotics and potential massive bill with a specialist. This goes against what I believe but it is so painful. Knowing that teeth have small holes throughout, could using the mouthwash resolve this naturally. I already take all of the suggested lifestyle measures for a strong immune system ? If all the ingredients are food grade and organic, what would be the harm in swollowing a bit? The purpose of oil pulling and rinse are to get rid of toxins,bacteria ect. So, why would you want to ingest all that? I have been using clove oil for a very long time.Had to have gum surgery, the specialist said, he had never seen anyone heal and regrow the gums as well. I didn’t really know all of what clove oil will do, although I remember my parents using clove oil for a toothache. Yet, I made my own toothpaste from coconut oil, aluminum-free baking soda and clove oil. I’ll check into this recipe when I have the money for the oils. use in making your toothpaste? I too am unable to spend much $$$ on essential oils currently but need to change from the store bought brands. Thank you for this wonderfully informative post! That is my issue. If it can heal my tongue, how would you advise me to best use it? My grandmother used Oil of Cloves for many years. I remember this. She was afraid of dentists and self treated her own teeth. She died of stomach cancer. It is important to see a dentist routinely even though you may self treat with Oil of Cloves. Bacteria find their way into the stomach and intestinal tract and cause inflammation that sometimes lead to ulcers and ultimately cancer. THANKYOU, FOR YOUR ADVICE, I GOT SOME CLOVE OIL TODAY AND STARTED USING IT TO RINSE BY MOUTH WITH WATER OUT REGULARLY TO ASSIST IN MY ORAL HEALTH. Gela, we are happy you found this article helpful. Hope you feel better soon! Then an ad, then end of article. where’s the link or recipe? Sorry to hear that, Pato. The recipe is still up in the end of the article, before the Article Summary. We suggest you use another device (a laptop or computer preferably) to check. Let us know if you are still having difficulty in doing so, we’d love to send the recipe to your email instead. I also do not see the mouthwash recipe. Could I possibly be emailed it please? I do not have another device. I do think that the mouthwash recipe should be in whatever format the rest of this article is in so that everyone can see it. We hear you, Laura! We’ll be keeping in touch with you as soon as we can. Thank you for letting us know!